Don't get me wrong... I am not giving any review about Nokia N9.
" Get me Nokia N9! I need to bring back to XXXX tomorrow morning!" Me... being a good and clueless lady... eheh... grab my handbag and drive my car out to the nearest Nokia Center. I suppose to go to KLCC but end up at Pavillion. Yeah! many will be thinking why I end up at Pavillion when KLCC is the nearest to me? mmmmm... seriously ... I don't have a clue myself. How could people just order to buy a handphone like buying a nasi lemak or book??? mmmm... must be extremely rich people!!! Yeah!!! he is damn bloody rich man!!!! Breakfast in Singapore, Lunch in Malaysia.... dinner on plane on the way to London....yeah that kind of lifestyle!!!! Result from this story... I purchase Nokia N9 this afternoon within 1 hour!!! Wow!!! this is the fastest phone purchase for me... huhuhhuhuhu phone not for me! 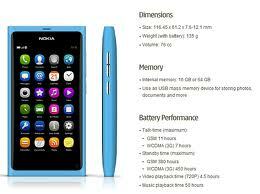 Reach the store at Pavillion... tell the salesman... pack me Nokia N9 blue color , pay and go...that fast! This is not the first... he order Macbook air like breathing air...huh! All like blink of eyes!!!! I am dreaming???? But its real! banyak syiokkkk kannnnn dapat shopping macam ni...?